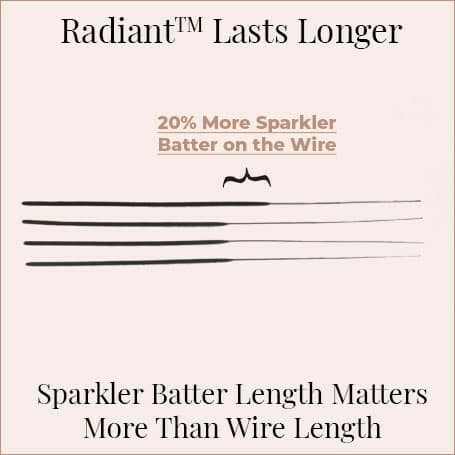 In testing, Radiant™ sparklers were 2X to 3X brighter than the competition. Click here to see video evidence. Ask your photographer about this. 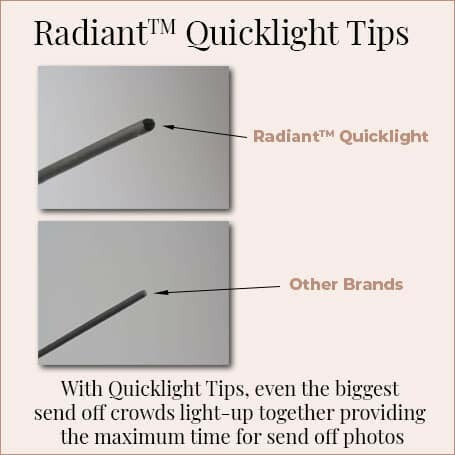 Brighter lights produce better photos… and these are the brightest! 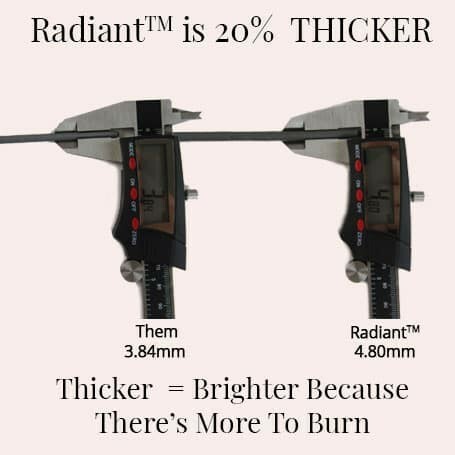 Orders placed before 2pm CST ship same day from our warehouse in Illinois. How Many Sparklers Should I Order? For your sparkler sendoff, our 36″ and 5 Minute sparklers only require 1 sparkler for each guest. 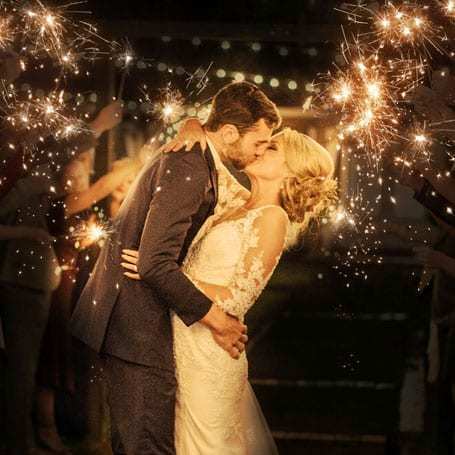 Don’t forget about the other sparkler photos you want to take on the wedding day. 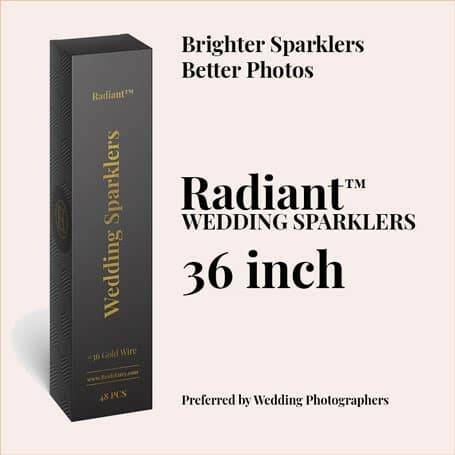 Order extras for bridesmaid pics, groom & bride pics, and other wedding party pics. If you have any leftover, you can always use them on July 4th or New Year’s.